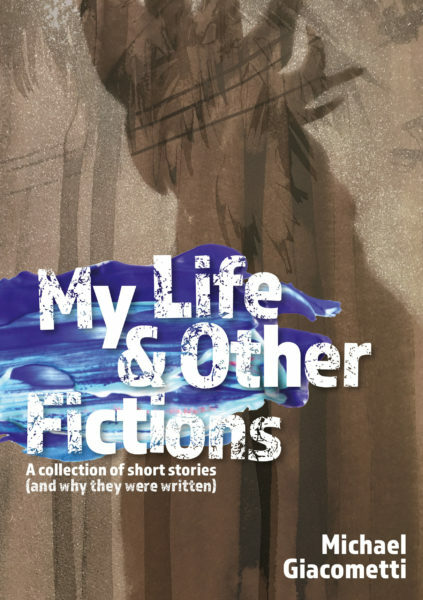 My collection of short stories, My Life & Other Fictions was reviewed recently by Elizabeth Flux for Books+Publishing. The collection of 20 stories and an essay about the fictions will be released by indie publisher Spineless Wonders in November. Bringing together 20 very different stories, My Life & Other Fictions is a bold debut from Michael Giacometti and a unique exercise in experimentation with form and voice. Initially it seems like there is no common thread; the reader is taken from modern day to the past and back again, and it’s impossible to predict what the next story will be. An extended vignette on a football training session feeds into a doomed boat journey, and a tale of stolen identity laden with red tape precedes a satirical take on cultural ignorance. As the book progresses, however, it becomes clear that Giacometti is painting a bigger picture, exploring themes of spirituality, fate and unbreakable cycles. In each story, Giacometti inhabits a different voice, using misspellings, archaic language and colloquialisms to fit the tone he is aiming for. It’s ambitious, with the technique working better in some stories than in others. The line between fiction and nonfiction is blurry, and it’s something Giacometti understands well. The depth of research and clear allusions to historic and religious literature give this book a strong foundation, but it is the moments of truth, and the inspiration the author has drawn from his own experience, that tie it all together.